Although it’s easy to tell when something’s not working, it’s not always easy to figure out why. We are committed to providing the best value for our clients, we have developed a suite of diagnostic tools and assessments to help you determine any knowledge or skills gaps and help you confidently identify needed training. Assessments give you baseline measurements so you can ensure your training and management interventions are successful. Ask us for further information. 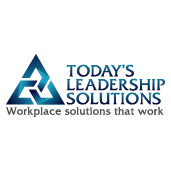 We have tools to assess key success factors within an organization, various leadership assessments, and work process measurement tools.